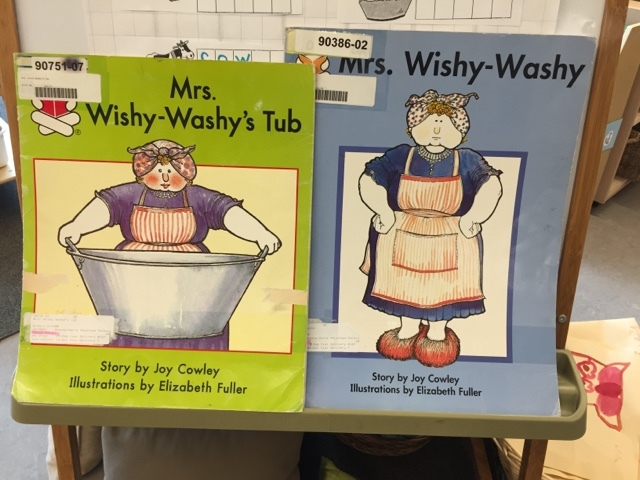 Mrs. Wishy-Washy is a favourite character to explore at the beginning of the year, especially because the texts are so easily read and accessible for the children. We read two of our favourites today. 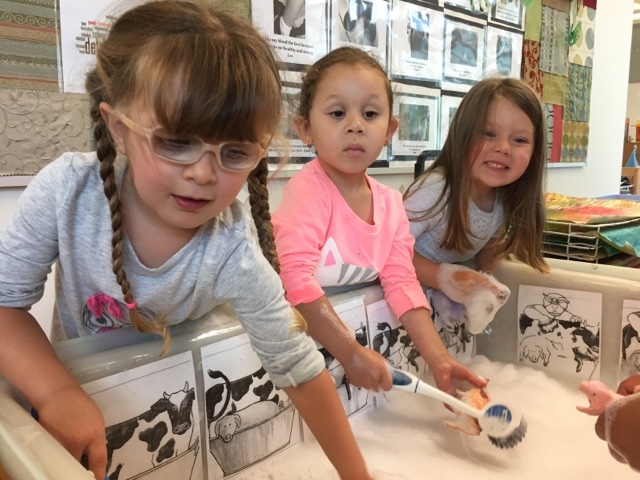 We asked the children if they wanted to explore the text further. 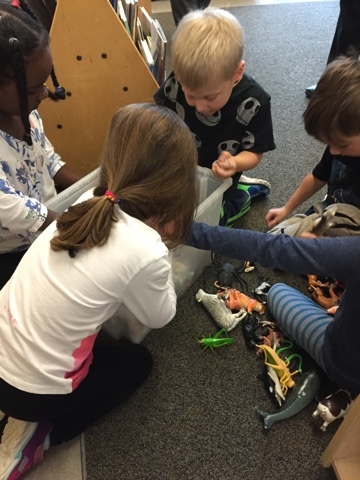 After a discussion as to who the characters were in the books, the children set to work around the room finding all the animals that were in the books. 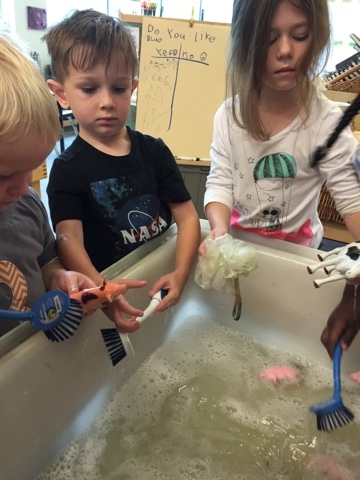 They decided that they each wanted to role-play being Mrs. Wishy-Washy. 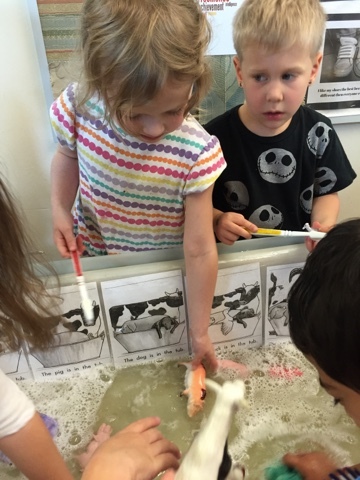 We thought the water table would be the perfect place to retell the events of the text. I laminated pages from the story and attached them directly in the water table for reference with heavy duty clear tape. 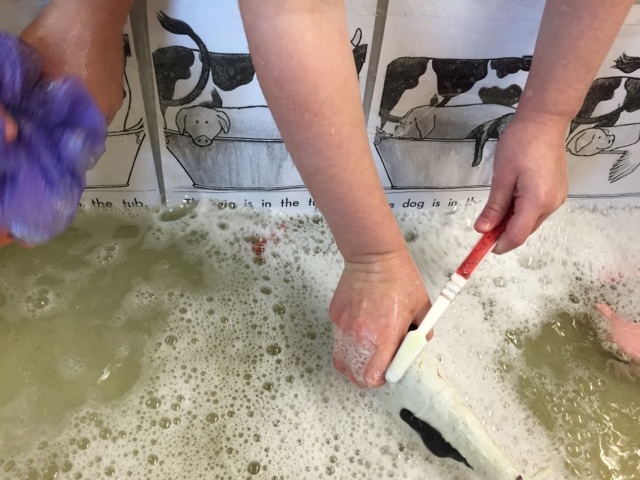 The children used a variety of brushes to wash the animals and retell the text as they went along. 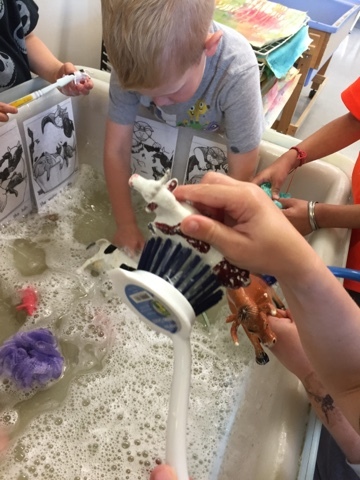 It was so much fun to hear the children singing "wishy-washy, wishy-washy" and pass the animals and different scrubbers back and forth! 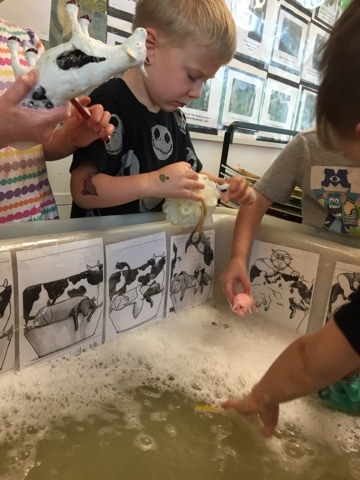 Having the text directly in the water table supported literacy by encouraging the correct sequence of events and helping children connect the written words to the pictures. 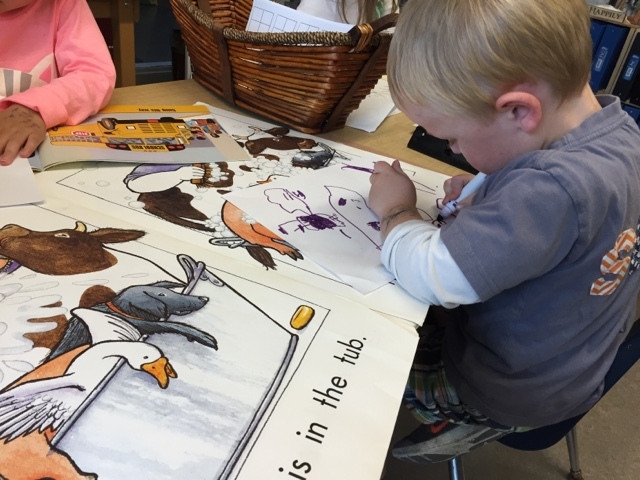 Some friends were even inspired to revisit the big book and copy the pictures so they could have their own copy of the text! Great idea! 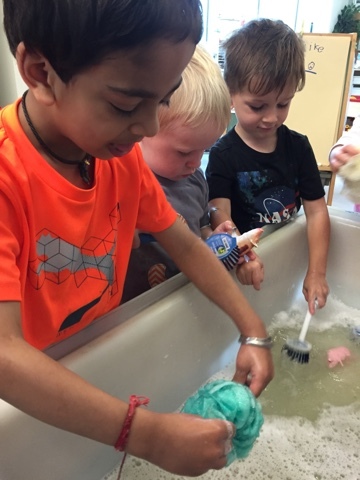 What a wonderful way to encourage retelling and thoroughly engage in the text! Love this! 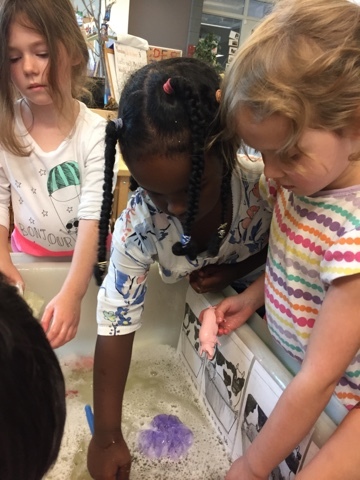 I've never put pictures in the water table, but what a fun way to practice retell!